Modern hybrids have been proven to perform much easier than long and mid irons for the majority of golfing community. Over the past 7 or 8 years golfer have opted to replace their 3 and 4 irons with much easier to hit hybrids. More recently the 5 and 6 irons have been slowly being replaced with higher lofted hybrids and producing consistently better golf shots for all. 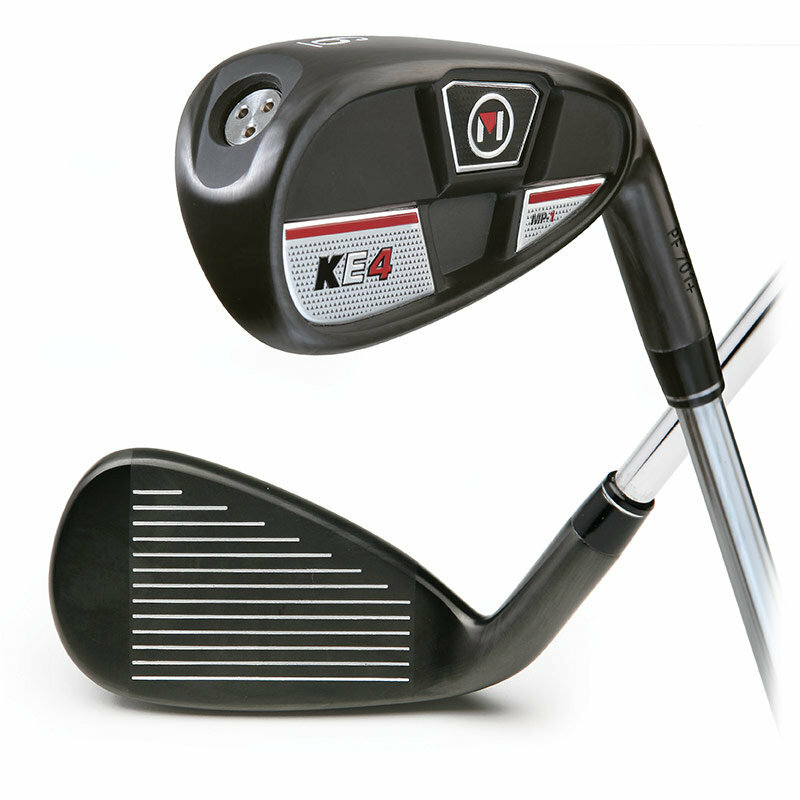 The KE4 MP-1 Hybrid/Irons takes this trend to higher level. The wide soled hollow MP-1 irons are very turf friendly, true hybrids throughout the entire set. The MP-1 Hybrid/ Irons are precision cast from 431 stainless steel and weight adjustable to accept most custom lengths and shaft weights. The difficult task of filling your bag with mixed-matched hybrids with different offsets and lengths to replace your long and mid irons is over!